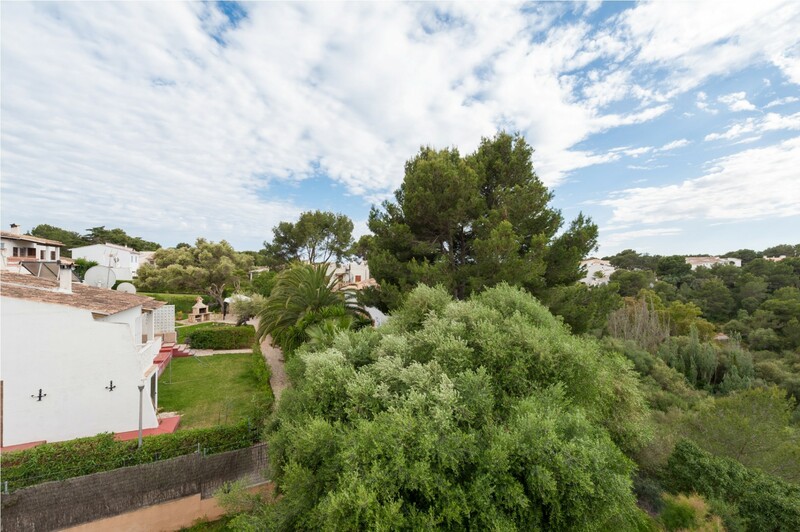 This is a recently built villa located in the urbanization of Cala Anguila-Cala Mandia, near Manacor. 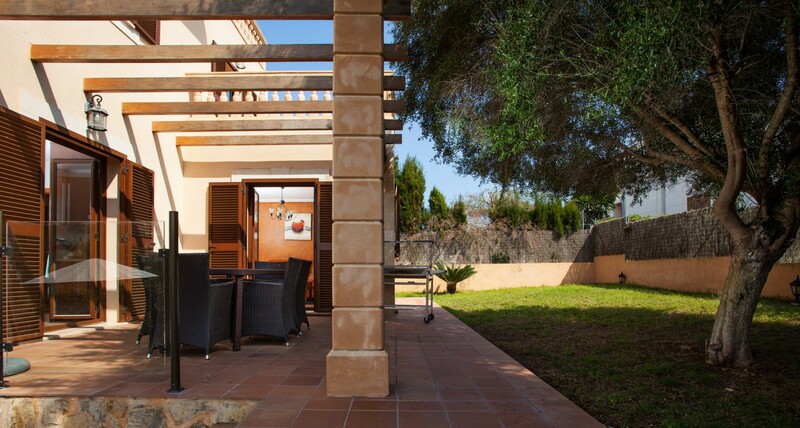 This house offers the comfort that will make your holiday an unforgettable experience! 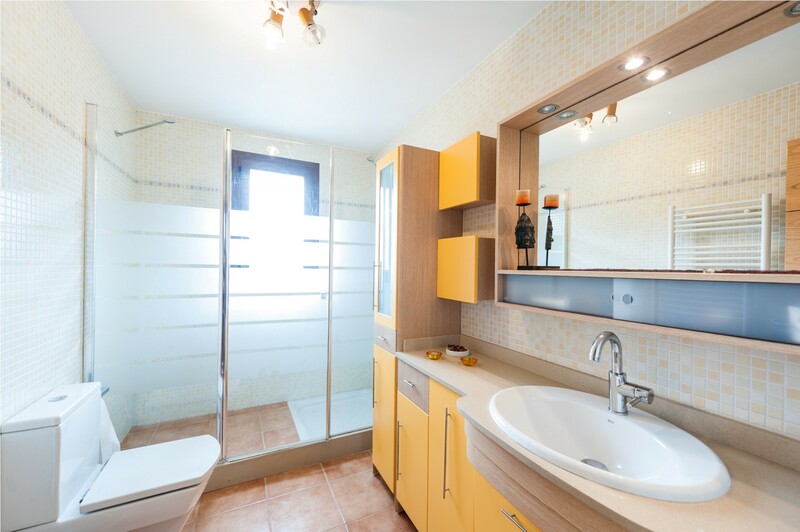 This 2-storey house is 200 m2 and it has 3 bedrooms and two fully furnished bathrooms. 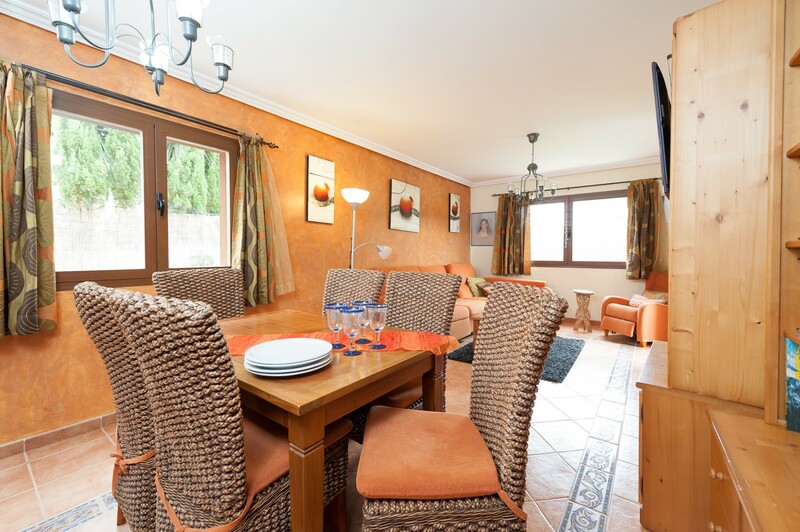 It’s ideal for couples with children or for groups of friends because it has space for 6 people. 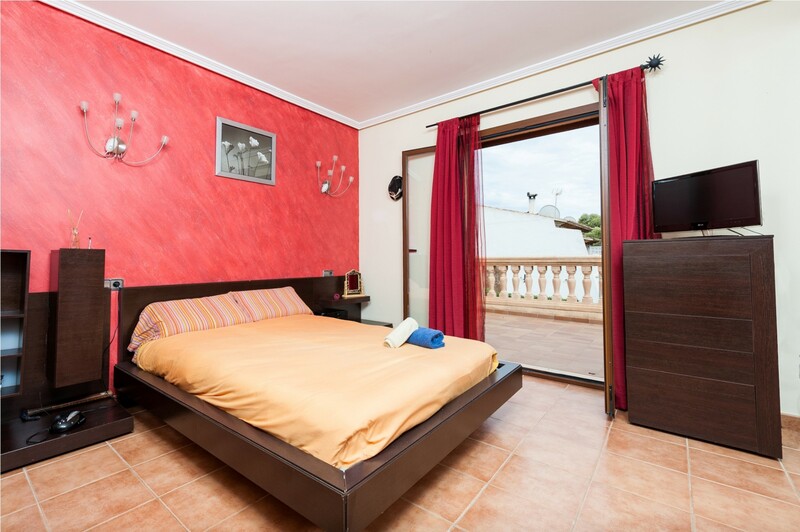 Two of the bedrooms have double bed (on the first floor); one of them has TV and access to a private terrace with views to the stream. 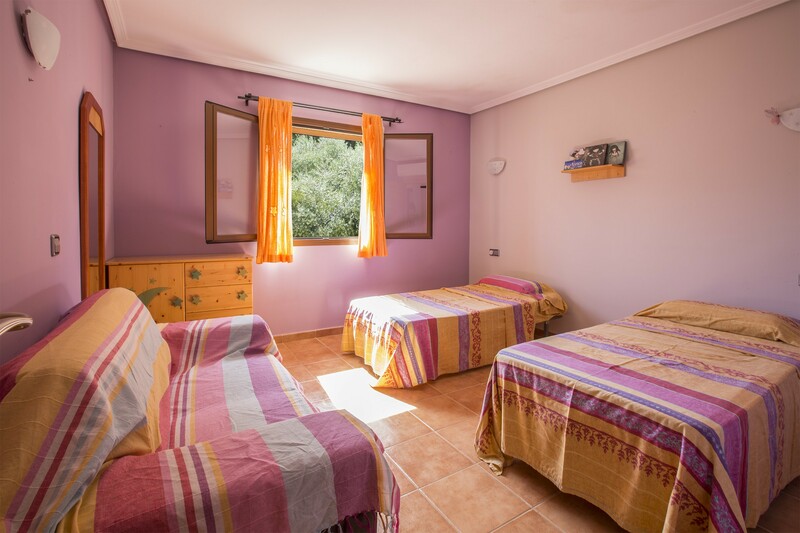 The third room is on the ground floor and it has 2 single beds. All rooms have AC and built in closets. 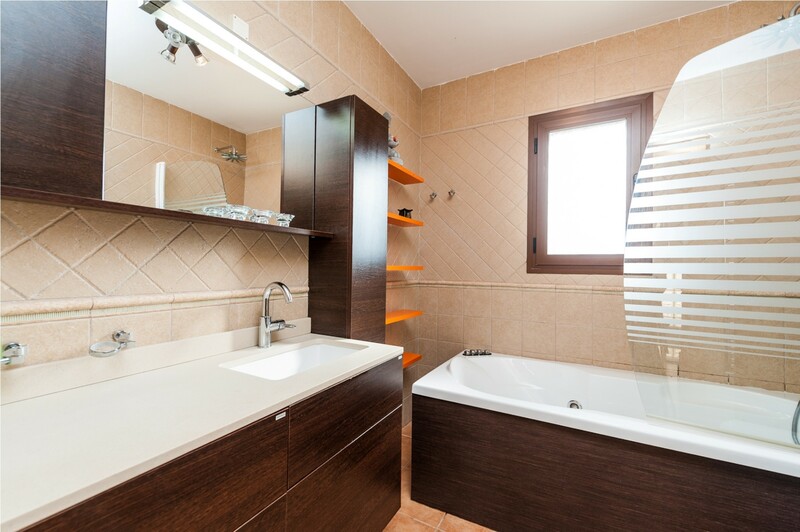 There are two bathrooms: one on the ground floor with shower and another one on the first floor with hydro massage bathtub. The house has a charm and welcoming environment and rustic details that make this place very special. It is the perfect place for people who look for a relaxing holiday. 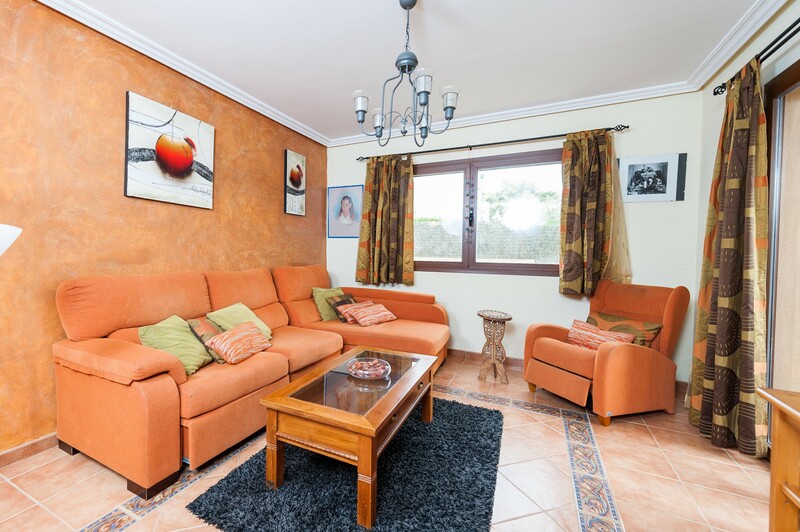 Sit down in one of the sofas in the living room (with AC) and just relax with a glass of wine. It is a good place to enjoy a good book, watch satellite TV, surf the Internet (WIFI) or have a siesta. The living room is connected to the dining area and it has a wooden table with chairs for 6 people, where you can enjoy delicious meals with family and friends. 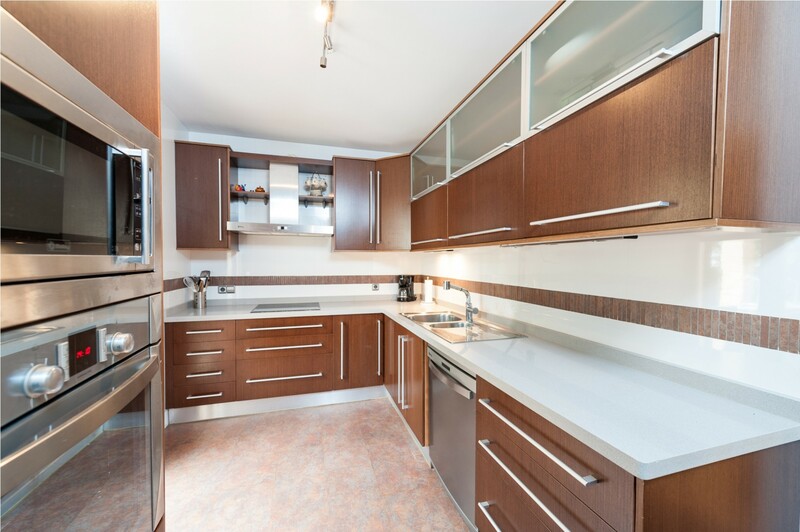 The kitchen is equipped with everything you might need: toaster, microwave, coffee machine, vitro ceramic hob, dishwasher, electrical oven, fridge with freezer and a lot more. Of course you will find as well washing machine, iron and ironing board. You will have space to park 2 cars outside the house. Pets are allowed! 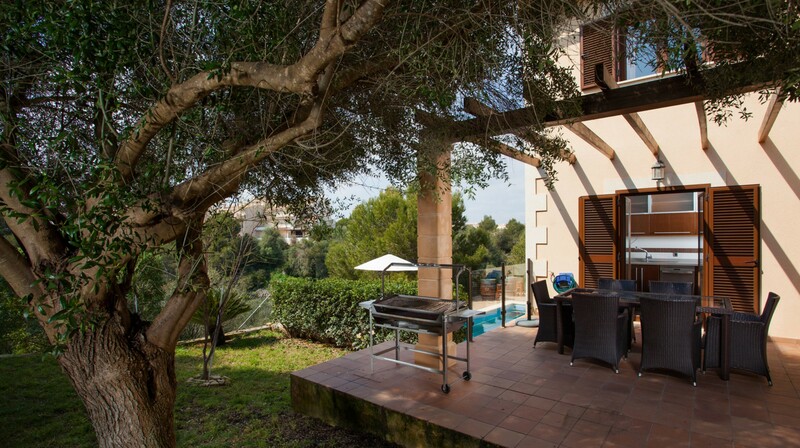 The outside of the house is as well a wonderful place to enjoy your holiday: go to the terrace, have a tempting barbecue, swim in the pool or just relax sunbathing. 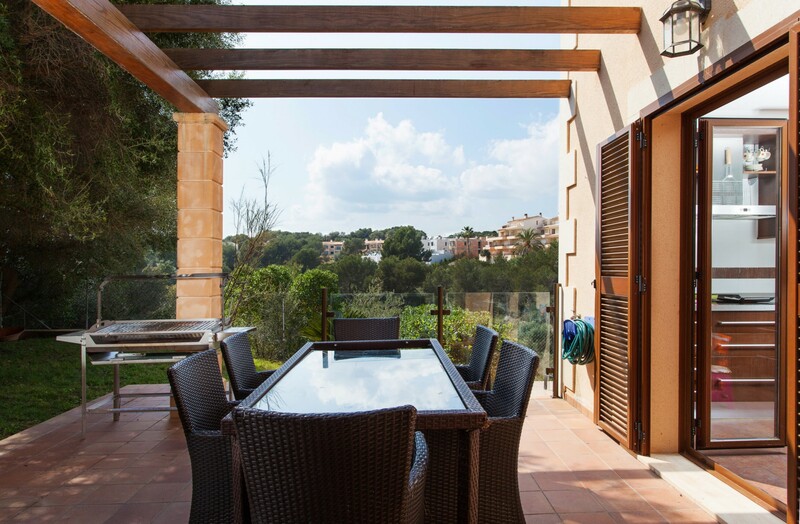 The terrace is furnished with table and 6 chairs to enjoy summer dinners. 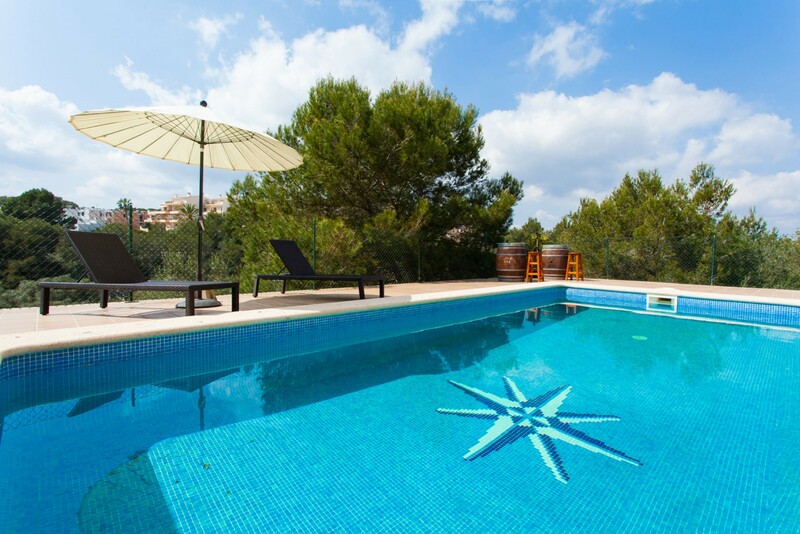 The private pool is 4 x 8 meters, 1.3 to 2.2 meters deep and it’s surrounded by 6 sun beds. 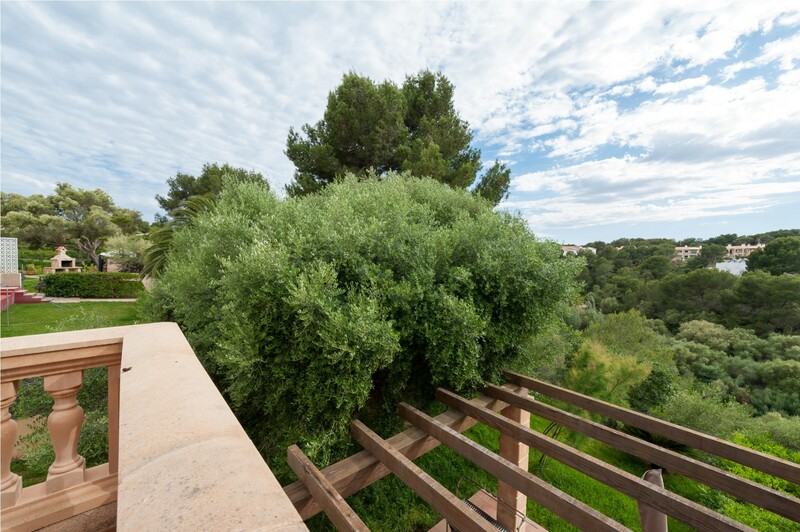 The 550 m2 plot is completely fenced and it has 60 m2 lawn area. 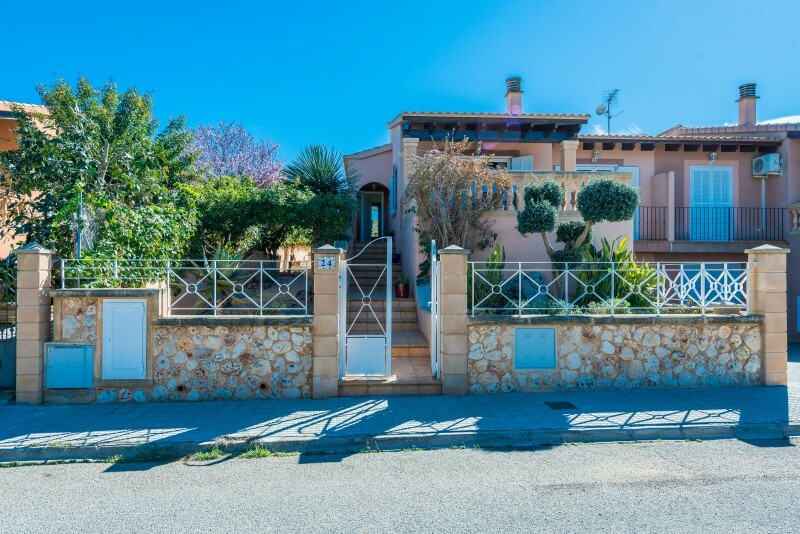 The house is just 15.3 km from Manacor, where you will find everything you might need during your holiday: supermarket, hospital, pharmacy, bars, restaurants, etc. 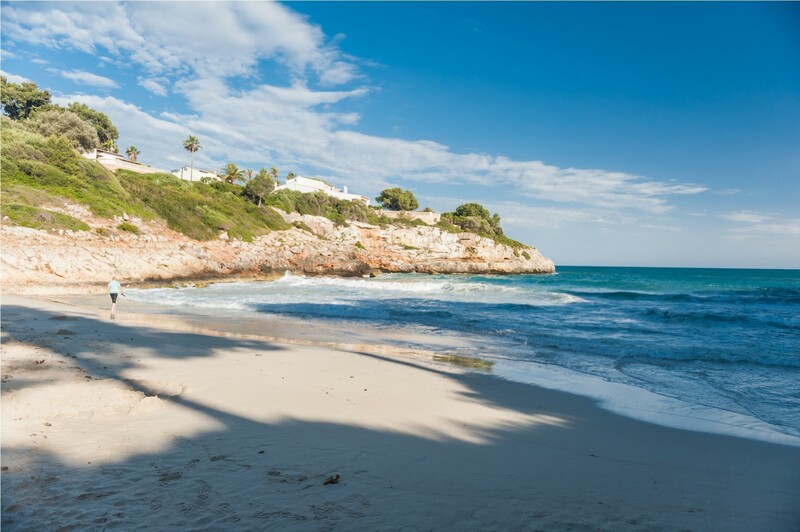 350 meters away from the house you will find Cala Anguila, a beautiful cove where there are sun beds, sun umbrellas and a little beach bar. 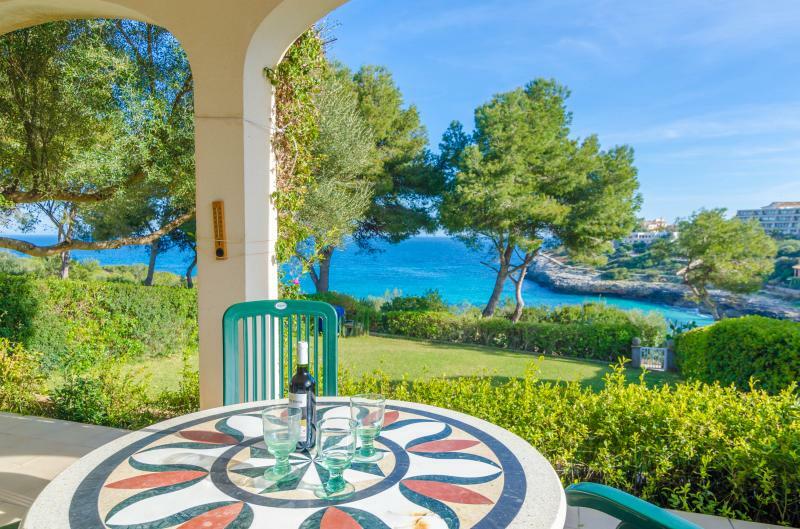 Cala Mandia is 1.3 km from the house. 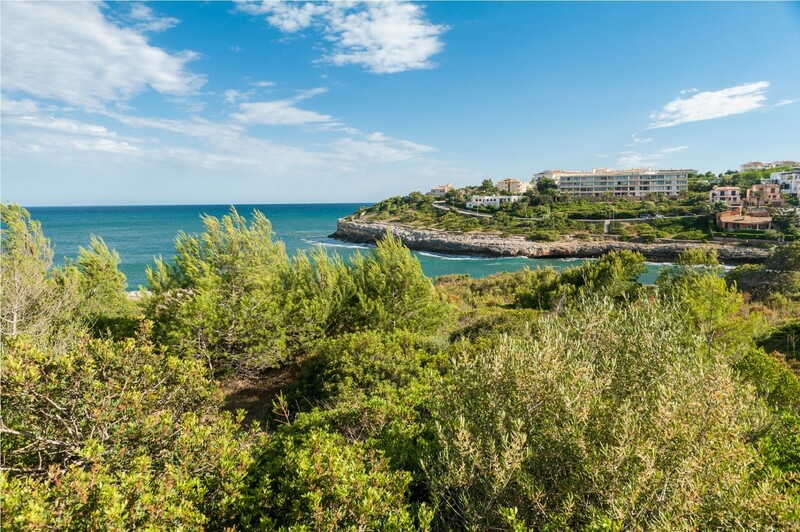 10 minute drive will take you to Porto Cristo, where you can enjoy a pleasant sunny day in the sandy beach and have paella for lunch in one of the restaurants with sea views. Make the most of the day and have a cocktail seeing the sunset or why not a romantic dinner in one of the most relaxed and calm environments of the island. 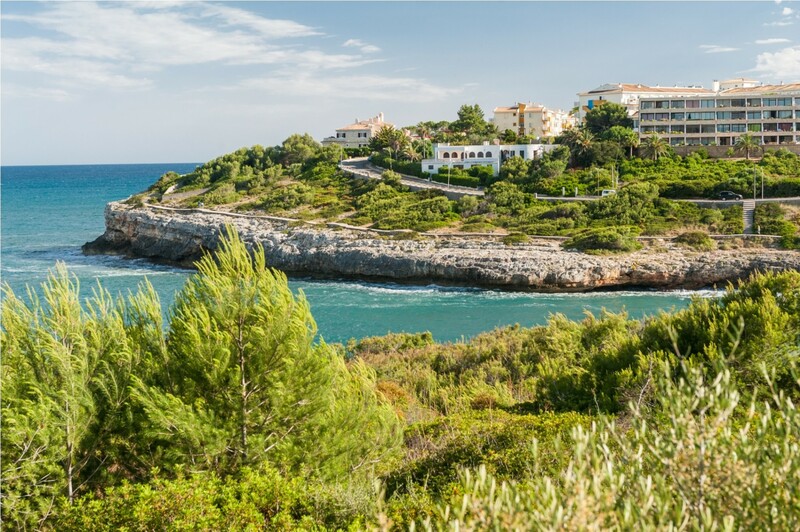 In the area there are other beaches that are worth to visit, as Portocolom and Modragó Natural Park. 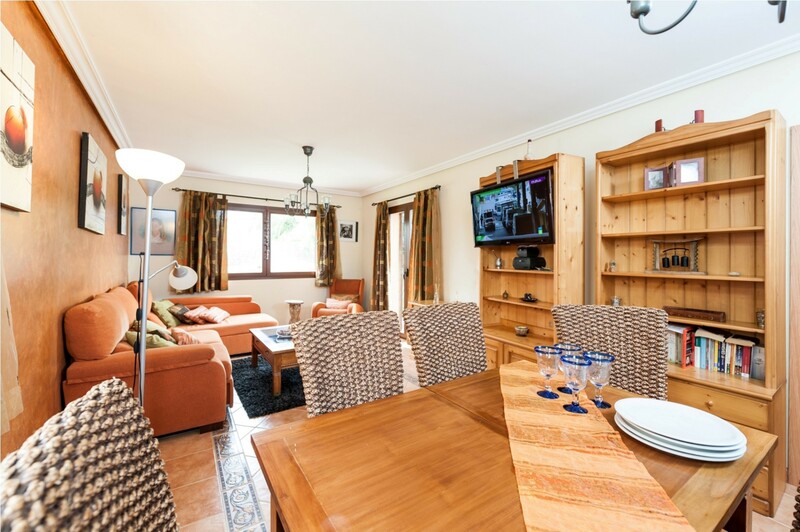 The villa is a welcoming house with a cosy and rustic style that will make you feel at home and will make your holiday an unforgettable experience in one of the quietest areas of Mallorca! Smoking inside the house is not allowed. 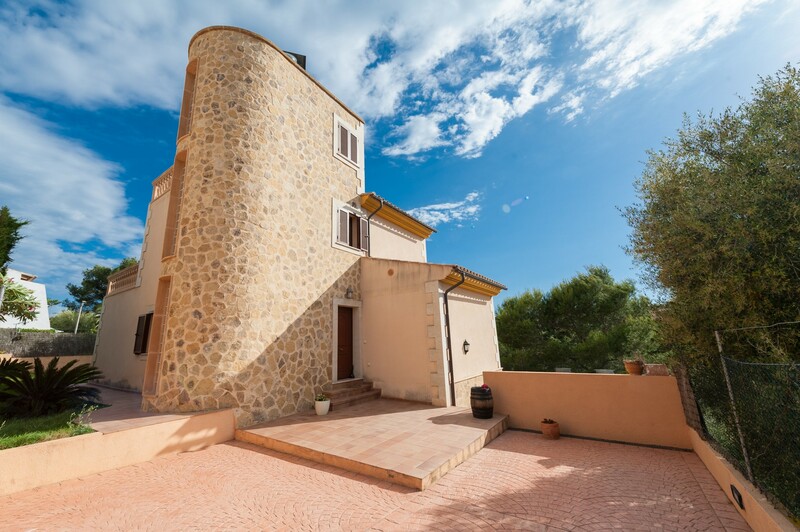 Das Haus liegt in einer Wohnsiedlung am Ende einer Reihe Reihenhäuser nur wenige Minuten zu Fuß vom schönen Strand Cala Magrana entfernt. In direkter Umgebung befinden sich neben einem kleinen Tante-Emma Laden ausschließlich weitere Wohnhäuser. Nach Porto Christo benötigt man ca. 7 Minuten mit dem Auto.Das Haus selbst ist in einem zufriedenstellenden Zustand.Die Küche ist gut ausgestattet mit Induktionsherd, Tiefkühler und große Kühlschrank.Eines der beiden Schlafzimmer im oberen Stockwerk ist jedoch sehr abgewohnt und eher ein Kinderzimmer mit minderwertigen bzw. ehr abgenutzten Matratzen und Betten.Der Pool ist schön und groß; aber ungeheizt und daher im Frühsommer sehr kalt.Klimaanlage in jedem Raum vorhanden. Der Garten (mäßig gepflegt) ist vom Poolbereich getrennt und hat eine Terrasse.